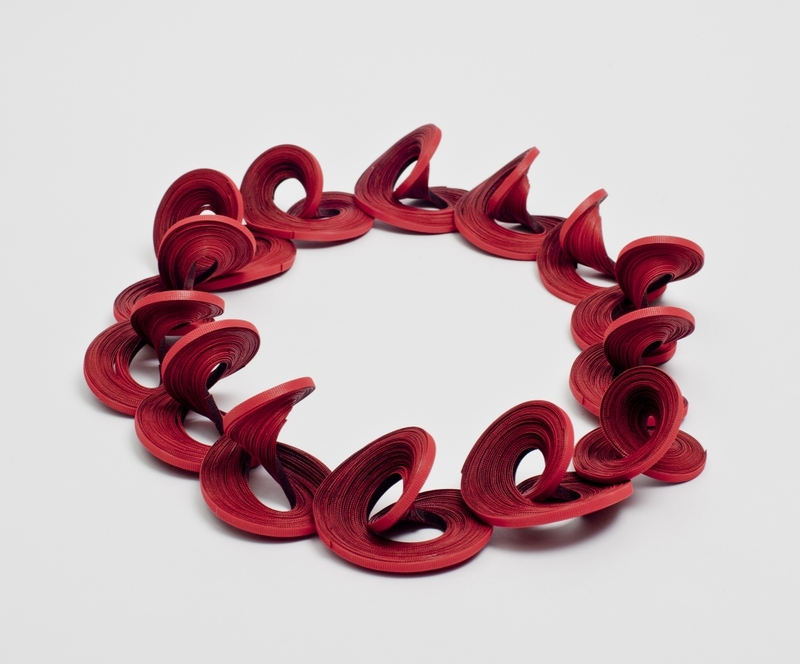 Yong Joo Kim received her MFA in Jewelry and Metalsmithing from the Rhode Island School of Design and her BFA from Sook Myung Women’s University in Seoul, Korea. She recently won the prestigious SAC Artist award from the Society of Arts and Crafts. In 2013, her work was selected for the international competition TALENTE in Munich, Germany. 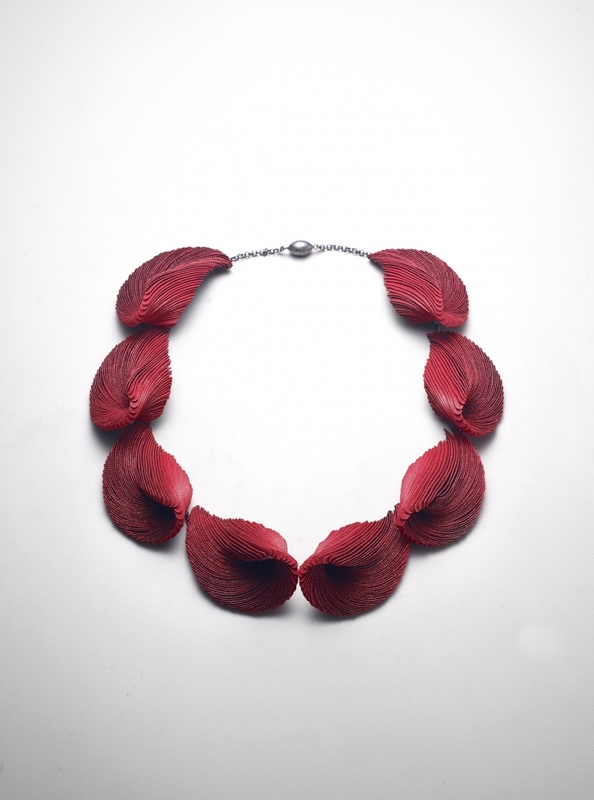 In 2012, she received the Niche award as a winner in Jewelry: Sculpture to Wear. In 2011, she received the Adrianna Farrelli Prize for Excellence in Fiber Art from the Philadelphia Museum of Art. 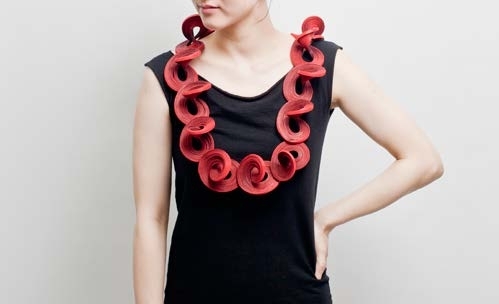 Her ingenious designs utilize hand-cut and fabricated forms, made from Velcro hook-and-loop fasteners in red, black, and grey, that seem to move even when still. Her work has been internationally exhibited at museums and galleries. My work introduces unconventional use of familiar artifacts into a world full of conventions. By assembling, grouping, clustering, and piling, the small and simple elements become complex, and give rise to the unexpected. As the wearer approaches my work, the experience of perspective shifts and sudden realizations spark wonder, discovery, tension, joy and play. My investigation of creation, innovation, and transformation questions the definition of value, and provides a never-ending field for invention. Velcro U.S.A. Inc. Permanent Collection, Manchester, NH, U.S.